Last month the Centers for Disease Control and Prevention released new findings revealing the prevalence of diagnosed autism spectrum disorder has risen to epidemic proportions. 1 in 50! With the average cost of autism over the lifespan being $3.2 million dollars per person families need all the help they can get. I’m happy to share that we are going to give one of these families a little support. Using The Listening Program® (TLP) for just 15 minutes each day has been making a huge difference in the lives of families affected by autism. TLP has been voted Best Product at Autism One, is Autism Approved by the Autism Hope Alliance, and is Generation Rescue approved! TLP is enjoyable acoustically-modified music that helps reduce sensory sensitivities and increase comfort in the environment for children and adults on the autism spectrum. It gently helps to desensitize emotional reactions to sound, reduce stress, and improve brain performance. In honor of Autism Awareness Month, we’re providing a family with a chance to benefit from TLP SPECTRUM. Our winner will receive a scholarship worth more than $2,300, including: TLP SPECTRUM, the WAVES™ bone conduction audio system, AND coaching from a TLP Certified Provider! Entering is easy. Just like the Advanced Brain Technologies Facebook fan page, enter your contact info, and tell us in 100 words or fewer how TLP SPECTRUM could help your child. Please enter here: http://ow.ly/kjFP5 Hurry, the contest ends soon! Attending Autism One/Generation Rescue Conference 2013? Stop by our booth in the Generation Rescue Lounge. On Friday, May 24th at 3:30 pm I’ll be presenting Acoustically-Modified Music: Brain Based Training for Improving Auditory Processing and Sound Hypersensitivity. I hope to see you there! 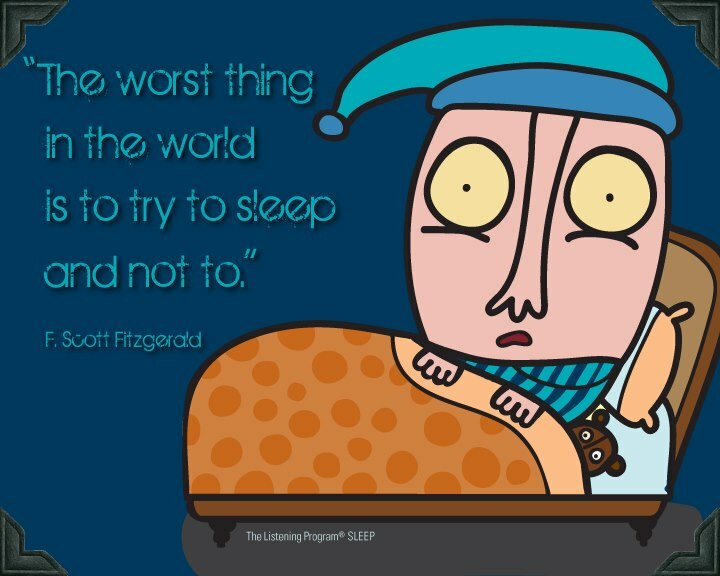 Sleepless nights are rough and take a short and long-term toll on our mental and physical health. If you are a regular reader of The Brain Understanding Itself you’ve seen me posting a lot about sleep lately. You also likely know that my company recently launched a revolutionary auditory sleep aid, The Listening Program® SLEEP, that offers a safe, natural, drug- free solution that is helping 3 out of 4 people go to sleep faster, and stay asleep longer. Fourteen years, that’s how long we’ve been working toward our vision of making sound brain fitness universally attainable to everyone. The years have passed quickly, and not all have been easy. But they have been extremely rewarding; knowing that the products we create make a positive impact on people’s lives. As I write this post I am looking over my shoulder at a figurine. It is an angel of courage that Nikki’s mom gave me as a thank you along with a beautiful Lily which we planted in the garden at the entrance to our building. There is not a day I don’t walk in my office, look at that angel and give thanks for the opportunity to serve such wonderful and courageous people. And with each spring that Lily blossoms and signifies renewal; the opportunity to continue forging a path toward a world where everyone is a better listener. Thank you Pappas family for the opportunity, and ever present reminders that we are on the right course. You may not realize it but your emails, letters, phone calls, Facebook posts, tweets, and pins sharing your love for The Listening Program mean so much to each of us at Advanced Brain Technologies. So please keep those inspiring messages coming! As a way of showing our appreciation and saying thanks to you all we have put together a Facebook contest to give away a prize package worth over $2,200. It includes the amazing new Waves™, multi-sensory audio system, The Listening Program on a pre-loaded iPod and three months of personal coaching with a Certified Provider of The Listening Program! We certainly hope that the winner of this contest is helped greatly through this prize and that we will be one listener closer to realizing our vision. Thank you all for your support and best of luck with the contest. Click here to enter and Win a Waves audio package worth $2,200! Would you like to win an autographed copy of my Bestseller Healing at the Speed of Sound®? Read on and I’ll tell you how! Each author has their own reason to write. And the creative process is different for us all. 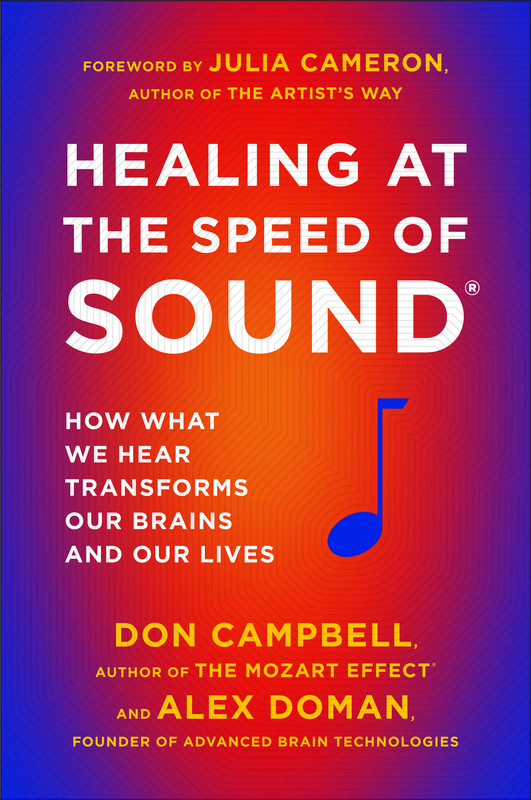 The motivation my co-author Don Campbell and I had for writing Healing at the Speed of Sound was to share that sound is an unrecognized pillar of health. Our message… noise harms, and sound, music and silence can heal. It seems our readers recognize the real impact sound has in their lives, and are taking control of the power of sound to improve their mind, body, and spirit! Healing at the Speed of Sound was released in paperback by Plume this week, just a little over a year following the hardcover release. This milestone is bittersweet. You see, my good friend Don passed away earlier this year. He is on my mind as are memories of our nearly three years spent writing the book together. Writing with Don was a remarkable process. Don was a seasoned author who took me, the apprentice under his wing. In his career Don wrote 23 books translated in nearly as many languages. Included among them the groundbreaking Bestseller The Mozart Effect®. Don was conceivably the most creative person I have ever known; whereas, I tend more toward linearity. He wrote with light speed, me, well… This post will take about an 90 minutes to write! We combined his inspired genius with my practical mindset and penned a book that fused our shared interests and unique perspectives. There were many memorable moments in our writing journey, but what sticks with me most is the trust Don had in me to share my ideas, merge them with his, and together craft a message that will forever hold great meaning for us both. There were times in the creative process I hit the wall, writers block! I could not extract the ideas in my mind to the written word. These were occasions I practiced what I teach and turned to my muse, music. What music, artist or songs bring you creative inspiration? Share in the comments before noon mountain time on Tuesday, November 6th. After I cast my vote I’ll select my favorite comments and pick two winners to receive an autographed copy of Healing at the Speed of Sound in paperback! The winners will be announced in the comments. Good luck!